Begin a remarkable journey of Asia, Africa & Latin America, and explore your potentials of care, compassion and empathy for the people in need. Out of the many destinations, find your ideal project . Analyze and select volunteer programs that fits you. Contact our team to get more details of the program you are interested in. Apply for your interested volunteer program . Experience amazing volunteer abroad programs in Africa, Asia and Latin America. My volunteering assignment has been a humbling and wonderful experience! I had a very good teaching and learning experience. Being able to apply my teaching skills in such a different setting has given me a lot of experiences. I can't thank the organization enough for the experience they have given me. In my three months program, I felt part of a family. Located in the Southern region of South America with an elongated shape, featuring varied landscape from rich plains, to thick jungles, majestic mountains and impressive glaciers, Argentina offers the natural wonders to every guest arrive here. Volunteering in Argentina can provide you the chance of embarking into these wonders with meaningful purpose . The crown jewel of the South America, famous for the carnivals and blessed with the natural diversity of Amazon forest, Brazil has it all to offer enthusiasts who want to make a meaningful trip in a magnificent part of the world. Despite being reach with natural asset, Brazil is still struggling to uplift the socio economic condition of its people. Being a Volunteer in Brazil , help to change that. If you are interested to soak up some culture of South East Asia, in a country with the fusion of ancient and modern worlds, Cambodia will blow you away with its charisma and spectacle. It is also a country that had been through troubled path. By volunteering in Cambodia, you will be a part of the effort, which the people of this country are making to steer the economy forward. Costa Rica is a fascinating country in Central America. Bordered by Nicaragua and Panama, a pure natural paradise between two seas, with a colonial culture and varied flora and fauna, this tropical dream located in the Caribbean and the Pacific offers lots of opportunities for the travelers who want to make the journey with some impactful causes and remarkable milestones. Volunteering in Ecuador is an opportunity of being part of many humanitarian activities in one of the countries with the highest biological diversity in the world. In your journey as a volunteer in Ecuador, you will establish remarkable moments, from pristine Galapagos Island to the mystic Quito city, you will see most incredible landscapes of equatorial region. A country with the population around 25 million, boasting the golden beaches and bundle of green coasts, Ghana is an ultimate destination for the volunteers and travelers. Despite being packed with rich natural landscapes, people of this country is still struggling with the marginal life standards due inadequacy in basic and fundamental developments. Join this volunteer Ghana. India is a kaleidoscope of spiritual and cultural ethos, a country always vibrant with the rituals and festivals of diverse communities of people. Volunteering in India is a lifetime opportunity to experience the moments with lovely Indian people, meanwhile make a difference to the lives of people who need support in the field of education, health and community development. Famous for wildlife and national parks. Emerald of Africa with spectacular and evocative accommodations, Kenya is one of the ultimate destinations for those who want to volunteer and travel abroad. Despite its natural enrichment, country has been suffering with poverty from many years. As a volunteer in Kenya, you can lend your hand of support to bring some positive change . Nested beneath the shadow of Himalayan mountains, boasting multicultural and multilingual diversity, Nepal is one of the most hospitable and pristine country of South Asia. Participating in Nepal as a volunteer will fill you with unforgettable memories with lovely Nepalese people. The birthplace of Lord Buddha and home of highest peak of world. Earn some unforgettable beautiful memories in this land of contrasts. A kaleidoscope of cultural and natural diversities, Peru is a crowning destination for every travel enthusiasts. Volunteering in Peru is a lifetime experience of living in an incredible land with lovely people, while making some difference to their basic life standards. Volunteering in South Africa, an exotic country that hall all of the features that a traveler longs for in a vacation destination. It is also a place also with some needy communities that require the support for the development in their socio economic conditions and development programs. Get enrolled in education, health, conservation and many projects. Volunteering in Sri Lanka, an island at the coast of Indian Ocean is an unparalleled experience of traveling and serving the community of South Asia. As a volunteer in Sri Lanka you will be participating in various fulfilling activities like teaching in schools and monasteries, working with disadvantaged kids and working for conservation of elephants. Enjoy the experience of volunteering in this natural paradise and largest country of East Africa. Behold the breathtaking view of the grasslands, live with the warm and friendly Tanzanians and make and leave some positive impacts of selflessness and humanity while working for the development of communities. Embark into the beautiful country of Asia blessed with beautiful beaches, amazing islands and lovely people. Whether it’s about sharing your care and love for the kids, or contributing your teaching skills or spending some incredible moment with Asian elephants, volunteering in Thailand offers you all the elements of opportunities to make a journey of lifetime. Uganda, a land of pristine natural beauties, and a tourist heaven for visitors from all across the world, is a perfect gateway for the travelers and enthusiasts. Described as Pearl of Africa, Uganda offers some of Africa's finest geographical and natural beauties. Volunteering in Uganda is a remarkable opportunity to build the bonding with the nature and people of this African jewel. Volunteer FDIP provides secure, meaningful and affordable volunteering abroad opportunities. Volunteer FDIP places the volunteers to various projects such as Psychological Counseling Programs, , Healthcare Volunteer Programs ,Volunteer For Orphanage , Teaching English to Buddhist Monks, Teaching in local Schools, Environment Conservation Project, Wildlife Conservation Project , Community Development Project. 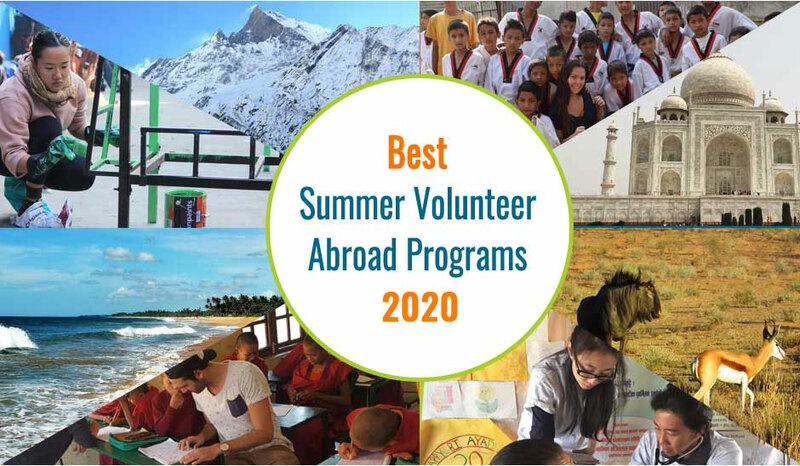 Volunteer FDIP is growing to provide world's best volunteer abroad programs since it’s establishment in 2014. If you are planning to make an unforgettable journey of volunteering to a rural corner of the world meanwhile discovering it's charisma of natural beauty then Volunteer FDIP has meaningful programs for volunteering overseas. With program fee starting form $180, you'll be experiencing memorable experience without spending a fortune. Teach monks in Buddhist Monastery and gain an enriching experience of getting close with Buddhist Culture and religion. Participate to make a difference in the lives of Buddhist Monks and yours too. Volunteering as a teacher in monasteries of Nepal is an opportunity to share your knowledge and skills,while learning about the peace & compassion. 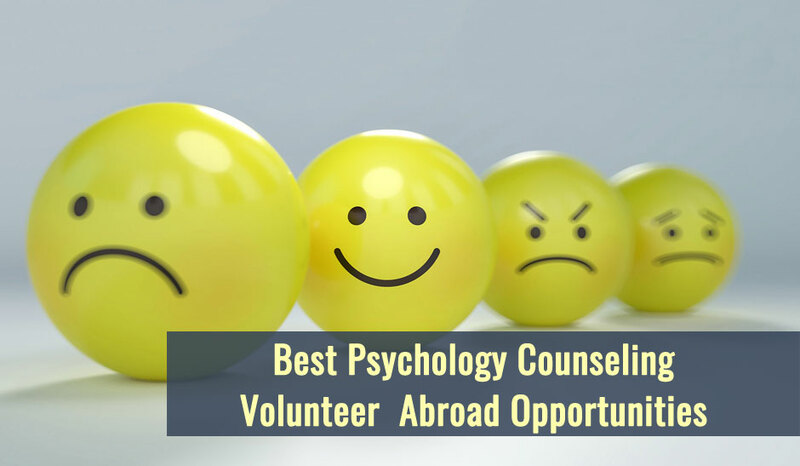 Volunteer with a reputed psychological counseling center or Nepal. You will play very supportive role by assisting with the counseling and therapeutic treatments to the clients with problems with psychological discomfort. As a volunteer overseas, it is a remarkable opportunity to learn about a psycho social situation . Serve your teaching skills to the local school of Nepal. Make your contribution to develop teaching methodologies and practices in this country. If you have experience or interest for teaching English, Science, Mathematics, IT and Arts or any other disciplines, then join volunteer teaching abroad project of FDIP and make a difference in education process of Nepal. Participate in FDIP’s Volunteer For Sustainable Agriculture, Sustainable Development and Permaculture program to enhance your understanding of agriculture and to share the modern techniques and knowledge from your part of the world to the farmers of the rural Nepal. Live a typical Nepali village life and enjoy unforgettable moments with Nature. Working as a medical volunteer for Nepal is an unique opportunity learn different practices on healthcare services. As a volunteer, you will hone your medical skills and understandings in hospitals and healthcare centers of Nepal, meanwhile helping the people in the need of medical assistance. Join our healthcare and medical volunteer program ! Share your love, care, knowledge and skills to the disadvantaged kids in the childcare centers of Nepal. Help create better lives of homeless, disadvantaged and orphaned kids. Enhance the quality of their education and way of life by your time of concern. Join our volunteer program for the childcare centers in Nepal and be a part of that positive change. As a volunteer for community development, you will participate in different programs organized by a community development community. Work with the marginalized people of rural communities who are living behind the line of opportunities. Join this program to contribute for the exhaustive development of community in health, education and empowerment. Enjoy our special offers for the group volunteers. Join our project as a high school group, college/ university group, family volunteer or just with bunch of friends. We offer you the life changing volunteer abroad opportunities with your pals. Whether you are in a summer break or planning for university social tour campaign, our group volunteer program would be ideal. Serve your altruism to the community, meanwhile, delve into the beauties of the new places in your free time. Volunteer and Travel abroad to explore the majestic land of Nepal and explore yourself. Discover the beauty of the places beneath the Himalayas. Glide around the valley; enjoy the thrill of jungle safari and adrenaline pump with bungee jumping and rafting. Extinction of endangered species and unbalance in the biosphere is the major issue for the modern world. Give your time and expertise to change that. Wildlife Volunteering is an awe-inspiring opportunity to discover such needy places while making some initiatives to conserve wildlife. FDIP wildlife projects focus on the protection of rare plant and animal species. Climate Change is happening and its effect is more dire and prominent in the Himalayas of Nepal. If you want to make a difference in rising issues of environment, join FDIP program for the environmental conservation. It is a practical and grassroots environmental action that supports local projects for environment protection. Assist in daycare centers of Nepal to improve the quality of learning process and grooming the children. Share your love, care, experience and knowledge on kindergarten and daycare. Spending time with the kids will boost your self esteem, meanwhile it will provide opportunity for these kids to learn something new in the early stage of their lives.